Should you have a liking for antiwar agitators who dizzyingly stay on message, protest after protest and arrest after arrest, you might sign on with Bob Graf. The Milwaukee-based former Jesuit scholastic who has close ties to the Catholic Worker, was and is the organizing force behind a national campaign to rid the Reserve Officers Training Corps (ROTC) at Catholic universities and colleges. On Nov. 16, a hallowed date that marks the dark moment in 1989 when six Jesuits priests and two companions were murdered in El Salvador in part by U.S. Army-trained gunmen, rallies were staged on multiple campuses. By Graf’s count, Jesuit schools account for 16 of the 25 Catholic universities and colleges that accept Pentagon money to train and teach undergraduates in the lethal ways of military might. After four years of taking classes that range from military history to battlefield tactics, as well as regularly gunning and drilling, the graduates are commissioned 2nd lieutenants and required to put in eight years. Similar to the no-cost education given to cadets at the nation’s military academies, ROTC soldier-students also receive free ride scholarships — plus rake in stipends. With no draft and America in a permanent state of war, the schools are little more than recruitment factories. In the spirit of Gandhi’s belief that dialogue with power is essential and sometimes well worth it, the group wended to the Jesuit residence to deliver a letter to the superior explaining their opposition to the school’s ties to the military. It was something less than a Christ-like welcome they received. Graf: “When we entered the Jesuit residence we were told right away that we needed to leave. We asked for the superior and without checking with him were told he was in a meeting. We said we would wait, but a number of Milwaukee police entered the building and said we were trespassing and had to leave immediately.” Rather than get further dusted, the group called it a day and departed, their point having been made. 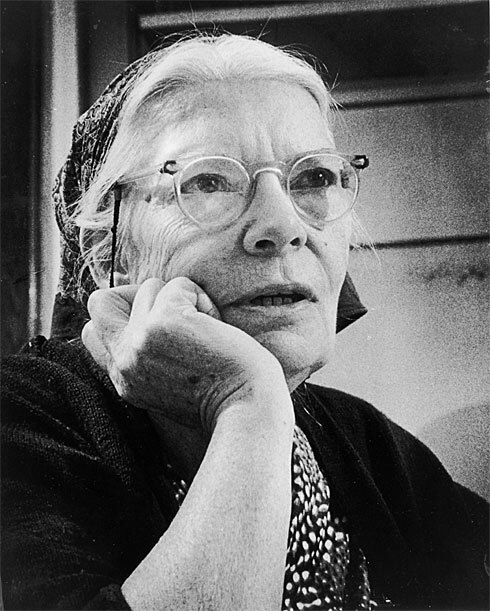 In Washington on Nov. 16, it was Arthur Laffin, Kathy Boylan and others from the Dorothy Day Catholic Worker house who gathered at the gate of Georgetown University. The campus ROTC office reports that 27 cadets are in The Hoya Battalion and with an assortment of nine professors including colonels and captains teaching five courses that award academic credit. At the time, one Georgetown Jesuit in full sync with that direness was Fr. Richard McSorley. The pacifist priest, who founded the school’s Center for Peace Studies and was a revered classroom professor with large enrollments, regularly stood on the busy campus concourse gripping a sign that asked: “Should we teach life and love or death and hate?” His decades of protesting ROTC, which matched his many arrests for civil disobedience against the Vietnam War, won little faculty support. In first hour of my fall semester Georgetown class, “Peace Is Possible,” I bring my 48 students to the Jesuit cemetery in the center of the campus, there to find Fr. McSorley’s grave for a few moments of remembrance. One of those offering a prayer this year was a senior student who is majoring in justice and peace studies and minoring in religion, ethics and world affairs. Fittingly, her opposition to Georgetown’s ROTC found her among those at the Nov. 16 rally. With a pope who holds back little when condemning war, it has to be wondered why Francis doesn’t move past the rhetoric and tell his American Jesuit brothers to rid the military from their campuses. It’s a major low of his papacy that he remains silent, just as it is a major high that people of conscience like Bob Graf, Arthur Laffin, Kathy Boylan and my star student resist and persist. * An earlier version of this story had a typographical error that stated the letter was in 1996; it was 1966.